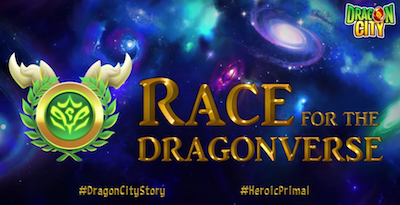 The tale of Yggdrasil: A race for the Dragonverse - Chapter 1 & 2 & 3 & 4!! There was once a God dragon of Dragonverse who took care of the natural elements. His name was Yggdrasil. He spent his days bringing life to the lush, magical forests, creating the perfect conditions for it to thrive. He knew the forest like the back of his paw and dedicated hours to watering, weeding, and pruning it. Vegetation grew wherever he stepped and he could make any plant grow at will. With the power to reshape any element of the forest, he was the ultimate protector and keeper, shielding against any harm that may come its way. Yggdrasil was one with the forest and his powers were innate. He had glowing marks on his body, an indicator of the forest’s health: the more the marks shined, the healthier the forest. One day, on an ordinary day like any other, Yggdrasil was doing his daily routine: tending to the forest and making plants grow, when he noticed an unnatural lack of vegetation. As he cautiously approached the area, the indicators on his body became dimmer, giving him suspicion. In the area he brought a grandiose fruit tree of 50 meters to life. The tree grew tall and stood in all its glory however, right after growing, it quickly withered and all the leaves fell to the ground. Bewildered and confused, Yggdrasil began to question: ‘What could possibly have caused this?’. He had built this forest from the ground up and was certain that nothing from the realm of nature could generate such a disease. His suspicions were confirmed when he looked ahead and saw another area lacking in vegetation, only this time there was an entire trail. One day in Dragon City, Deus and Gaia were walking through the city when they noticed something unusual with the Tree of Life. It was emitting a bizarre light with a different color than usual and leaves had fallen off. Gaia immediately knew that this was a sign of danger and in that moment she felt a heavy negative energy coming from Dragonverse. A shiver went down her spine and she quickly explained to Deus that only one thing could put the Tree of Life into a state like this: Yggdrasil, the God of nature from Dragonverse must be in trouble. And judging by the energy, she knew something serious must have happened! Gaia and Deus knew that if Yggdrasil was badly injured it could be catastrophic for both Dragonverse and Dragon City, because it would mean the end of all vegetation—including the Tree of Life. Horrified by this idea, they came up with a plan. Yggdrasil was too powerful to be summoned by the usual means, but Gaia knew who could help them: The Fae Dragons. These special dragons have a unique connection with nature and were chosen by Yggdrasil to take care of the forests on different islands. They were led by the Fae Queen, a natural goddess and Yggdrasil's first disciple, everything she knew, she learned from him. If they wanted to save Yggdrasil and restore the forests of the Dragonverse, calling on the Fae Dragons was their only hope. They scoured the universes, frantically looking in every possible portal for the Fae Dragons. While they were searching they couldn’t help but wonder: Who attacked Yggdrasil? And why would anyone do something like this? Would the culprit come to Dragon City? It was then that Gaia realized that she knew where they could look… in their protected island: Fae Land. Finally, after all their efforts, the 4 Fae Dragons were finally assembled, but there was no time for celebration. They bore bad news: the forests on the different islands had also been depleted of energy. Without Yggdrasil, it was easier to vandalize the islands of the Fae Dragons. And if their islands were in danger, that could mean Dragon City was next. Thankfully the Fae Dragons could be found before Fae Land had completely dried up, thanks to the dragon masters. However, the Fae Dragons themselves don’t have the power to summon Yggdrasil. To do so, they needed the expertise of the Fae Queen. The dragons joined their powers to open a portal to the Castle where she could be found. The Fae Queen was there meditating. She had been there for 99 years as part of her 100-year meditation journey to ultimate peace. With one year left she was irritated by the disruption, but after hearing the story and realizing that her dear master was in grave danger, she was more than willing to help. Yggdrasil was successfully summoned to Dragon City and the Fae Queen promptly healed him. She used the powers of nature that she had learned from Yggdrasil and, thanks to her, he regained his strength and was able to catch his breath. As soon as he was healed he repaired the Tree of Life, swiftly flying around restoring it back to health. As a token of gratitude and a reminder for the day that the dragon masters came together to help save the nature of the Dragonverse, Yggdrasil created a magnificent magic tree in Dragon City for everyone to admire. He then returned to Dragonverse only to see that it was completely dry... almost uninhabitable. In a beautiful display of his incredible power, he flew around applying his magical touch, making the vegetation grow again. “Thanks for the energy of the forest, I hope you don’t mind me taking it!” Signed N.
Although everyone was happy that nature had been restored on the islands, two questions lingered: Who was this mysterious being, N? And would this be the last time they would hear from them?